Exploring Catalonia’s medieval towns in a day from Barcelona by yourself means going by rental car, and without a guide to spotlight their history. This private full-day tour provides transport and commentary, so you see and learn more than if alone. 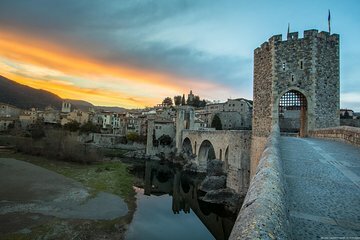 Enjoy walking tours of Vic, Santa Pau, and Besalú to discover stories and sights you’d otherwise miss, and enjoy Catalonia’s scenery without driving or route-planning to distract you.